Professor Nicholas Mills was born in Glasgow and raised in Scotland and North America. He studied Medicine and Pharmacology at the University of Edinburgh, graduating in 2000. He undertook his clinical training at the Western General Hospital and Royal Infirmary in Edinburgh before joining the Centre for Cardiovascular Science in 2003. 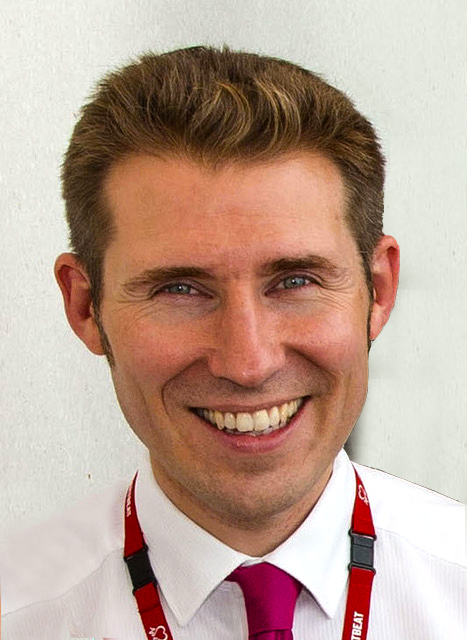 Professor Mills is currently Chair of Cardiology and Butler British Heart Foundation Senior Clinical Research Fellow at the University of Edinburgh and Consultant Interventional Cardiologist at the Royal Infirmary of Edinburgh. To understand the response to vascular and myocardial injury in patients with coronary heart disease, and develop novel therapeutic approaches to promote vascular repair and improve clinical outcomes. Professor Mills is a member of the Cardiovascular Outcomes Research Edinburgh (CORE) Group, which brings together researchers from the Centres for Cardiovascular Science and Population Health Sciences with support from the Edinburgh Clinical Trials Unit. CORE aims to improve clinical outcomes for patients with cardiovascular disease by harnessing the potential of National Health Service electronic datasets to systematically evaluate the impact of changes in practice on clinical outcomes. Professor Mills teaches on the MBChB course and is responsible for the supervision of clinical and basic science to PhD students.